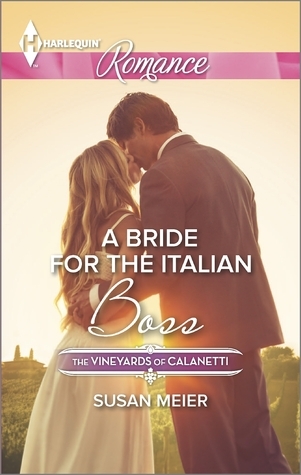 Daniella Tate was in Italy for a teaching job, now she is in Italy to meet her adoptive mother's family; after lucking out on accommodations when she meets a fellow American; to finance the extended stay she gets a job at a local restaurant. Rafe Mancini is a famous Chef and the owner of Mancini's the restaurant were Daniella comes to work. As Rafe gets to know Daniella he knows he wants her to stay and he has one month to show her that even if they can't be together, they can still work together. These two have incredible chemistry; Rafe always trying to be Mr. Bossy-Chef and Daniella snapping him back to the ground. The two really play well off each other, so much so that they really engage the reader. When Rafe isn't being such a pain sweet and even when he gets way to out of line with his Gordon Ramsey routine Daniella can real him. The story is not that long, but it is a lot of fun. As a side note, I hope we see a book for Daniella's roomy, maybe she find herself a chef or winemaker, hey it's Italy, the land of food and wine.